What to do after skim coat dries? Knockdown texture repair | Easy way to match knockdown texture! How to get rid of ugly drywall texture with a Skim Coat for a fresh start! Home » Skip Trowel Sand so You Can Skip Trowel like a Pro! Skip Trowel Sand so You Can Skip Trowel like a Pro! Skip trowel texture is very popular texture for high end homes here in my area. This skip trowel texture is also great for after removing a popcorn ceiling texture. Attention Contractors, Remodelers and Advanced DIY-ers! Why not be the first to offer or apply this texturing service in your area? If you’ve had a ceiling repair or wall repair and can still see exactly where it was. 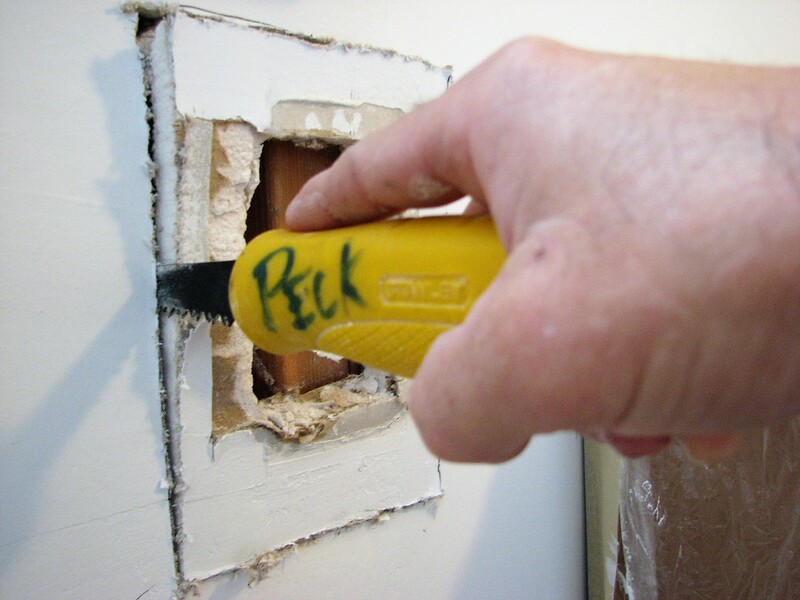 You might be able to apply a variation of you very own skip trowel texture to not only update your space but also make those ugly sheetrock repairs almost vanish! If you’re a Do it Yourselfer that wants to apply a skip trowel texture on a ceiling repair, drywall repair, a wall that you removed wallpaper from, a decorative accent wall or even just want to apply an skip trowel texture in a room or two of your home. You’re going to need a coarse sand, all purpose joint compound. Depending on your preference on drywall finishing tool you can use a hawk or drywall mud pan to hold your skip trowel mix. Then to actually apply the skip trowel you can use a trowel or drywall knife. Check Out my Featured Skip Trowel Texture Video Playlist! In this Video Playlist I have video footage from everything from how to mix skip trowel, applying tips and tricks and even some project videos where I wear a GoPro camera to get a very unique perspective of the skip troweling process. Mix all purpose joint compound with sand and water in a 5 gallon bucket. Start by mixing half of the five gallon bucket of joint compound with one cups of water 1/2 of a bag of Texture Master Skip Trowel Sand. Mix together until joint compound reaches a pancake batter consistency of thickness. For a thicker texture, add less water. Let mix sit for 15 minutes. Remix and add a little more water if needed to get desired consistency. Try practicing on a scrap piece of drywall to try and achieve the desired skip trowel texture you’re trying to replicate. Scoop some of the skip trowel mix out of the bucket onto either a hawk or drywall mud pan. Find an inconspicuous area of the wall or ceiling in the room you will be texturing. Using a trowel or mud knife put about an inch of your mix on the whole long working edge of the trowel or knife. Lightly pull your trowel from the corner of the ceiling or the bottom of wall pulling towards the top, holding the trowel at a 15 degree angle and making short subtle skipping motions. After you have applied the texture to about a 4’x4′ area, drop back and lightly go over that area with a clean wet trowel. This will smooth out any blobs or trowel chatters that might have been left behind. Now you can match skip trowel texture like a Pro! Skip Trowel Sand for entire rooms, ceiling repairs or decorative wall finishes. I have perfected the art of matching any skip trowel texture with my with my skip trowel techniques and special skip trowel sand. In this video I’m gonna show you all kinds of tips and tricks about skip trowel texture. I’ll be showing you how to mix the skip trowel texture. What tools you’ll need to mix the skip trowel texture and also how to apply a skip trowel texture. In this quick video that was filmed with an iPhone 6, Paul Peck will show you a couple of his tips and tricks on creating a skip trowel texture on a ceiling that he had just removed the popcorn ceiling texture. Paul is using a 14 inch drywall taping knife, mud hawk and some all-purpose joint compound mixed with Texture Masters skip trowel sand and a little water added to the mix. Thanks for watching! The Knockdown Texture Sponge Works! Soundproof walls without removing drywall with Green Glue! I've been Texturing and Matching Textures for over 20 years! Texture matching can be challenging. Really it takes years to perfect But with the right instruction, techniques and specialty texture matching products.